A researcher’s ability to isolate and purify proteins is essential not only in protein characterization studies, but in biological research as a whole. Currently there are many different methods to achieve the isolation of a specific protein from a sample. One very powerful and popular method is the use of magnetized agarose beads. Here, we list the top advantages of using magnetized agarose beads to purify a target protein. What Are Magnetic Agarose Beads and How Do They Work? Magnetic agarose beads are composed of magnetic particles coated with an agarose matrix. This agarose matrix in turn contains a functional group (ligand), such as Ni-NTA, glutathione or protein A/G (Figure 1). In this process, the magnetized agarose beads containing a functional group having affinity to a specific protein is exposed to a biological sample. This solution is incubated for a period of time to allow the targeted protein to bind the functional group on the agarose matrix of the magnetized beads. These magnetized agarose beads-target protein complexes are then captured and removed from the solution sample with a magnet. Following, the unbound molecules are washed away and the targeted proteins are eluted (Figure 2). Figure 2. Protein purification utilizing magnetic agarose beads. Simple and fast. 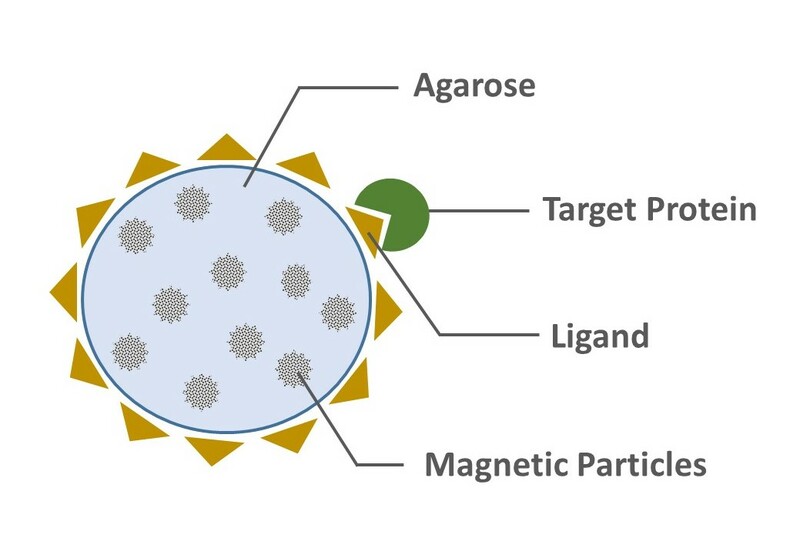 Compared to other protein isolation techniques, magnetized agarose bead protein isolation is a radically faster and easier method to isolate a target protein. For example, in some affinity chromatography methods, the isolation step takes longer because it involves letting the sample pass through a column containing the immobilized ligand. Alternatively, in a method involving simple agarose beads, capturing the beads involves a centrifugation step that also increases the time of the procedure. With magnetized agarose beads, the process is expedited since it does not require centrifugation steps or the use of columns. After incubation with sample, the magnetic agarose beads are simply washed and captured with the magnet. Then, elution is performed with the necessary buffers, again with the use of the magnet which retains the magnetic agarose beads and allows the eluted fraction containing the target protein to be collected. Gentle process. In protein purification using magnetic agarose beads, the recovery steps including elution are generally gentle and do not cause changes in target protein structure, especially since the process does not involve centrifugation or increased pipetting. Thus, the isolated protein may be easily used in downstream applications including sodium dodecyl sulfate polyacrylamide gel electrophoresis (SDS-PAGE), mass spectrometry (MS) and fast protein liquid chromatography (FPLC). Versatile. Magnetic agarose beads can be applied to protein purification involving many different interactions: enzyme-substrate, receptor-target protein, tag-metal ion and antibody-antigen. One very common application of magnetic agarose beads is the purification of histidine-tagged proteins. These proteins are generally incubated with magnetic agarose beads bearing the affinity ligand Nickel immobilized on the agarose by nitrilotriacetic acid (Ni-NTA) and eluted with imidazole. These beads can carry ligands such as, Protein A or Protein G, glutathione and anti-DYKD4K (FLAG). Cost effective. This technique does not require additional costly equipment or reagents such as microcentrifuges or columns.The only additional piece of equipment required is a magnetic stand. High yield and high binding capacity. The agarose in these beads form a matrix that allows a large surface area/ligand amounts to interact with the macromolecules in the sample, allowing proteins to diffuse in and bind to functional groups increasing target protein yield. In addition, magnetic agarose beads exhibit less sample loss during the washes and elution steps of purification. Sensitive. These beads are capable of capturing target proteins in samples that might have low quantities of target proteins. In these cases, a longer incubation might be necessary. Easy to work with. Beads are generally visible, thus easy to observe and track during the different steps through the purification process. Manual and high-throughput. Magnetic agarose beads can be used in small-scale experiments and in automated systems for high-throughput purification applications such as screening experiments. Reproducible. Due to minimal manipulation and fewer required steps during the purification process, variability of magnetic agarose beads-target protein binding is low, thus the yields of purified protein obtained using magnetic agarose beads are highly reproducible. Magnetic agarose beads are currently a preferred method for the isolation of many different types of proteins. However, one must keep in mind that different target proteins require different conditions, which must be optimized for successful protein isolation. Abudiab, T., & Beitle, R. R. (1998). Preparation of magnetic immobilized metal affinity separation media and its use in the isolation of proteins. Journal of Chromatography A, 795(2), 211-217. Doi:10.1016/s0021-9673(97)00959-x. Block, H., Maertens, B., Spriestersbach, A., Brinker, N., Kubicek, J., Fabis, R., . . . Schäfer, F. (2009). Chapter 27 Immobilized-Metal Affinity Chromatography (IMAC). Methods in Enzymology Guide to Protein Purification, 2nd Edition, 439-473. Doi:10.1016/s0076-6879(09)63027-5. Franzreb, M., Siemann-Herzberg, M., Hobley, T. J., & Thomas, O. R. (2006). 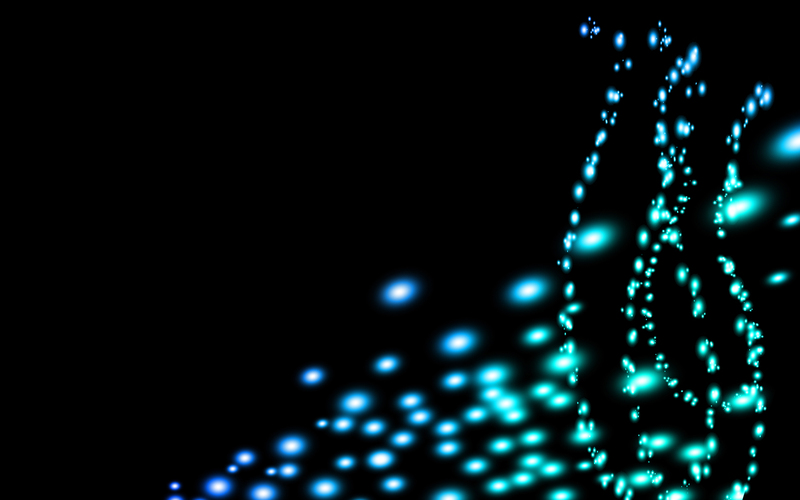 Protein purification using magnetic adsorbent particles. Applied Microbiology and Biotechnology, 70(5), 505-516. Doi:10.1007/s00253-006-0344-3. Meng, J., Walter, J., Kökpinar, Ö, Stahl, F., & Scheper, T. (2008). Automated Microscale His-tagged Protein Purification Using Ni-NTA Magnetic Agarose Beads. Chemical Engineering & Technology, 31(3), 463-468. Doi:10.1002/ceat.200700429. Nishiya, Y., Hibi, T., & Oda, J. (2002). A purification method of the diagnostic enzyme Bacillus uricase using magnetic beads and non-specific protease. Protein Expression and Purification, 25(3), 426-429. Doi:10.1016/s1046-5928(02)00022-0. Safarik, I., & Safarikova, M. (2004). Magnetic techniques for the isolation and purification of proteins and peptides. BioMagnetic Research and Technology, 2(7). Doi:10.1186/1477-044X-2-7. Saiyed, Z. M., Telang, S. D., & Ramchand, C. N. (2003). Application of magnetic techniques in the field of drug discovery and biomedicine. Biomagnetic Research and Technology, (1), 2nd ser. Doi:10.1186/1477-044X-1-2. Fernanda Ruiz is a science content writer at Gold Biotechnology. She holds a bachelor's of science in biology from St. Mary's University and a PhD in molecular biology from Baylor College of Medicine.